I discovered I wanted to do something that could make a real difference in people's lives. I've purchased three homes with my wife and the home inspection process is a nail-biter. You fall in love with a home, hoping it's your forever home. You make an offer and step into one of the most vital stages in the process of purchasing a home - the inspection and repair process. It can literally make or break your future purchase. Out of our three experiences, one home inspector really stood out to me. I trusted him, I hadn't done business with him before, but he put me at ease. I could tell he cared about his work, integrity was important to him, and he cared about my family. From that moment a seed was planted, and I knew I wanted to become a home inspector. I am well trained, prepared, and ever growing in my field to better provide my clients the best possible inspection. This step in the home buying process doesn't have to be difficult. Allow Forever Home Inspection to provide you a service with radical integrity and passion that will give you the confidence to purchase with ease. You'll be met with deciding whether or not to purchase a home based on information from your real estate agent and on feedback from your home inspector. You're putting a lot of trust into your home inspector so your home inspector better have integrity! At Forever Home Inspection you are my first priority. 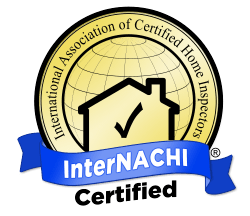 Every home inspection I do is delivered through radical integrity! My goal is to ensure my clients walk into their forever home with eyes wide open.